Hey everyone! I hope everyone is doing well. 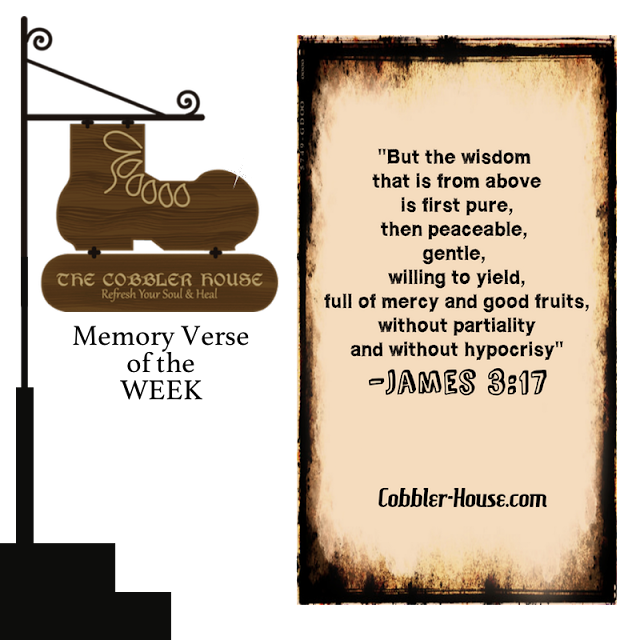 This week's memory verse speaks of the wisdom sent forth to us from our Heavenly Father. His Word cleanses us (pure). 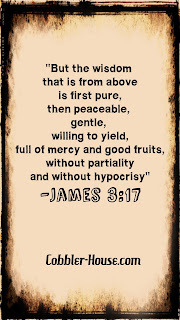 His Word brings us peace (peaceable). His Word is kind to us (gentle). His Word makes us think and ask questions (willing to yield). His Word is full of mercy and brings forth goodness (mercy and good fruits). His Word is real and true. Not fake. (without hypocrisy). His Word relays to us our Heavenly Father's wisdom. As we read the His Word daily, His wisdom fills our heart. 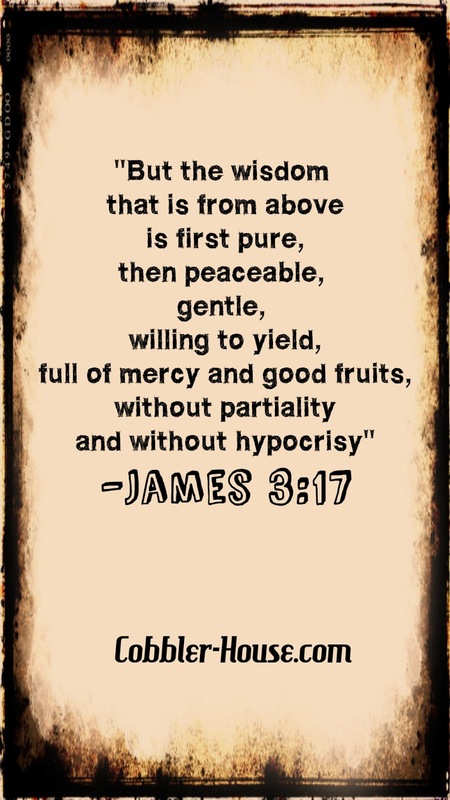 Then, our heart (full of His wisdom) brings forth a person who is ready to live out the gospel. Heavenly Father, show us Your way and help us to apply Your way into our daily life that we may be a light, of You, to all whom we come in contact with.